One of the highlights of my year is attending Life Instyle, a boutique trade event featuring beautiful designer brands including premium homeware, giftware, lifestyle and kids products. I also love meeting with the designers and finding out their inspiration for the latest collection (and mentally preparing my wishlist for next season). One of the most exciting elments of the event is discovering new products and designers. There are always SO many new treasures to find but I’ve narrowed it down to my Top 5. Forget Donnie, Jordan, Jonathon, Joey and Danny (the original NKOTB), these are my Top 5 ‘New Kids on the Block’. Unisex. Organic. Baby Wear. Forget pink for girls and blue for boys – Hucklebaby will have your litle one looking fabulous in a funky mix of black, white, grey and khaki. Super soft wraps and leather moccassins complete their range. I just wish they came in bigger kids sizes (hint, hint!). Swag factor 10/10! Goosebumps is the newest boutique bed linen brand on the block and their funky mix of children’s quilt covers, sheets and pillowcases will have your kids wanting to go to bed. It’s all about breaking the rules, mixing and switching pieces to create the perfect room. 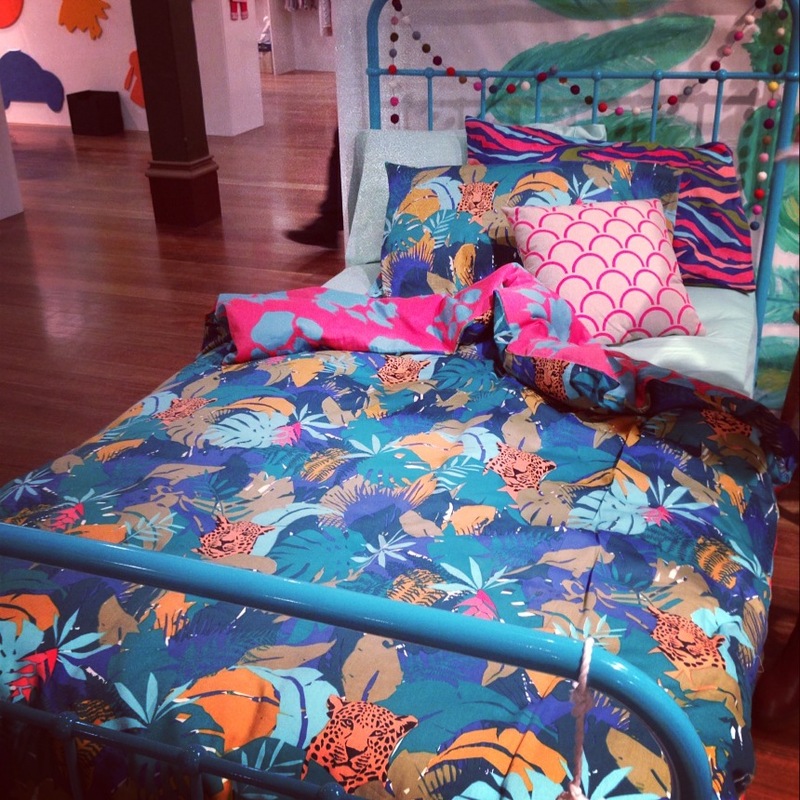 Get the kids ready for a safari slumber in their range of jungle inspired linen. goolie goolie is a new all-in-one dummy and soft plush for babies. The range of plush dummies was born out of a passion to create an innovative solution to a newborn’s need for comfort and security. Without the use of cords or clips, the goolie goolie dummy is firmly attached to the baby’s friend, making it easy to find in the cot, stroller or car seat. Proudly Australian-designed and owned, featuring three iconic Australian animals; a Wombat named Bluey, a Kangaroo called Rusty and Banjo the Koala. Each design in the range complies with mandatory Australian Safety Standards. Dear Diary‘s ‘Scribble it’ range is all about personalising products by drawing-on and colouring-in, cushions, softies, journals, wall hangings and wallpaper. Their products are perfect keepsakes for milestone events in your child’s life. One of the new kids I fell instantly in love with was Sew Sista. I’m always on the lookout for creative products for my daughter and I know this is something that she would love. 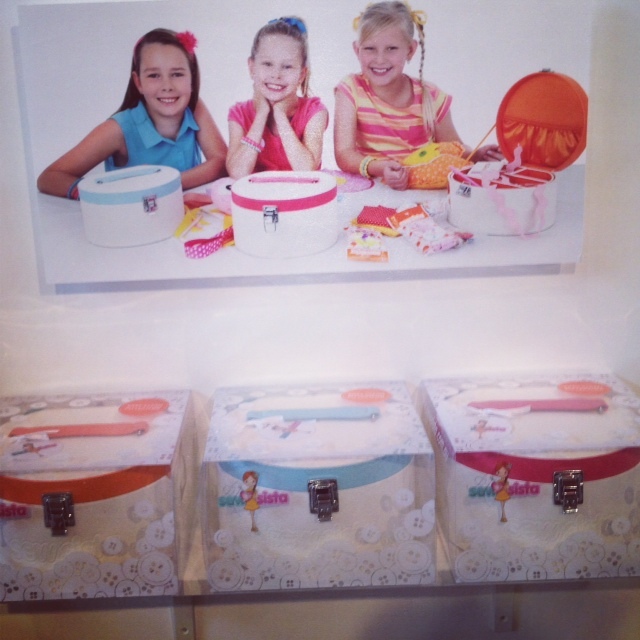 If you have kids that love to make things, you need to check out their sewing kits and gift packs. Sew Sista products help children learn a useful skill in a fun new way. Which of these products will you be adding to your shopping list? Stay tuned for my ‘Top 5 Mamma Must Haves’ and ‘Top 10 Kids” from Life Instyle. Definitely the Hucklebaby clothing and Goosebumps linen. My little man would love the quilt cover with the animals on it and I want one of the sew sista kits for myself.